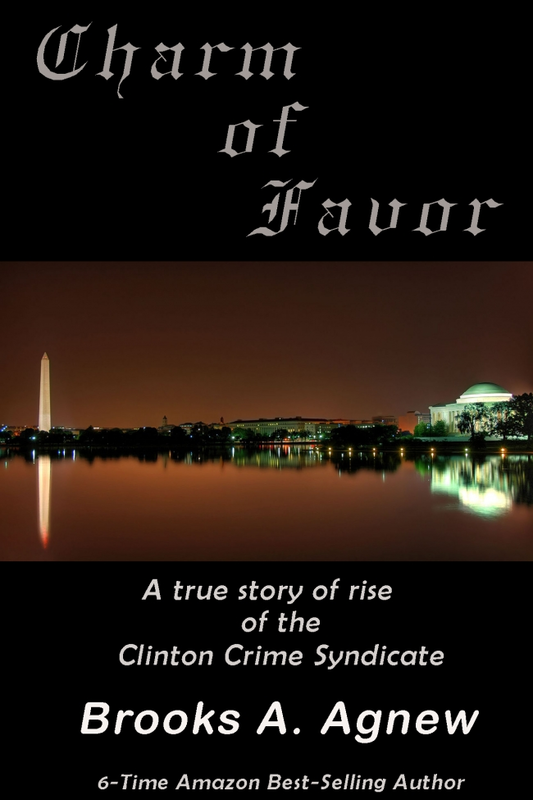 A great interview with TFR host Brooks Agnew about his new book, “Charm of Favor.” Ripped out of the day’s headlines, Charm of Favor maps the winding road of corruption back to the Clintons and the Globalists. There’s all sorts of juicy details about how the Clintons got tapped for power, which you probably won’t know. Brooks talks extensively about the creation of Bill and Hilary as a corporate legend and Washington royalty. We look at the FISA memo and judicial abuses at the top of the Justice Department as a function of the Globalist agenda to take down America’s Sovereignty and Independence. It’s a fast paced show. Also your faithful host is seeking donations to save my house, which has been targeted for an illegal foreclosure! Please Check out https://www.gofundme.com/savingsusanshouse !!! My heart-felt appreciation for any of you able to contribute!